Some field work in Florida allowed me the opportunity to observe some of the Caribbean specialities of the Keys, many found here at their only US locations in the southern part of the sunshine state. Several mornings before breakfast I walked to Long Key State Park to look for species such as Mangrove Cuckoo and Black-whiskered Vireo. Most other species were either noted at snorkelling sites or en route along the Overseas Highway (US-1). Ospreys, herons, egrets, pelicans, cormorants and gulls were common around all keys and bridges over the channels. 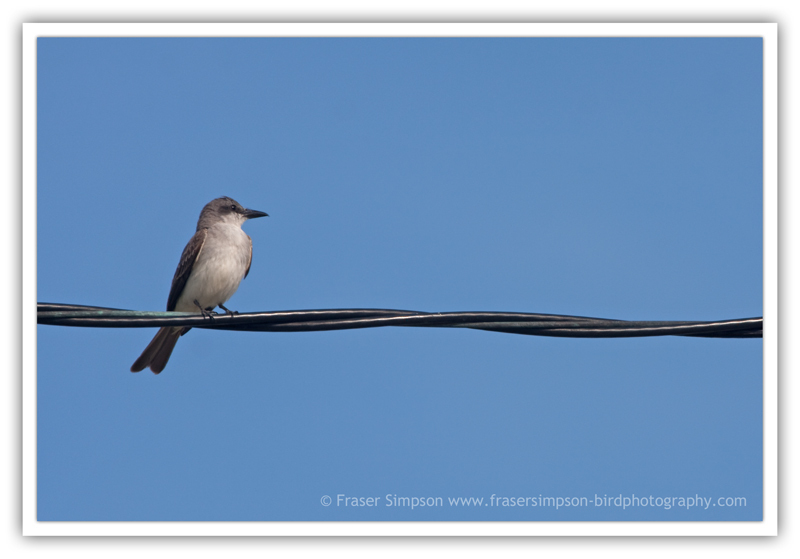 Common birds on roadside wires included Gray Kingbird, Northern Mockingbird, Red-bellied Woodpecker and Common Grackle. This time of year sees an obvious lull in the northward and southward movement of migrants but there was certainly enough interest with many exciting species observed in glorious light, even when cruising along on the truck. It was very hot and sweaty but much cooler in the water where it is like swimming in a tropical fish tank along with Manatee, Leatherback Turtle, and Green Sea Turtle. On land, Key Deer and Racoons were the most obvious mammals. 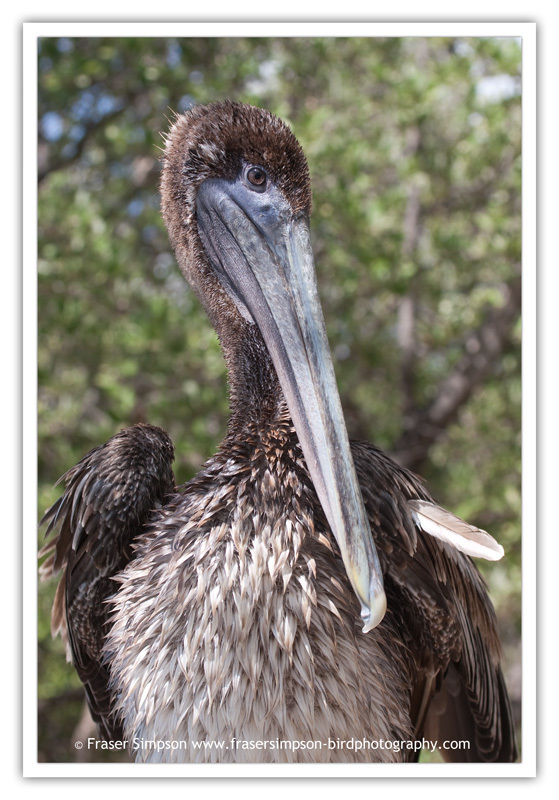 The list below accounts for sightings mainly around the following areas: Plantation Key, Windley Key, Upper Matecumbe Key, Tea Table Key, Indian Key, Lignumvitae Channel, Lower Matecumbe, Fiesta Key, Long Key, Duck Key, Grassy Key, Vaca Key, Bahia Honda Key, Big Pine Key & No Name Key. � Pranty, B. 2005. 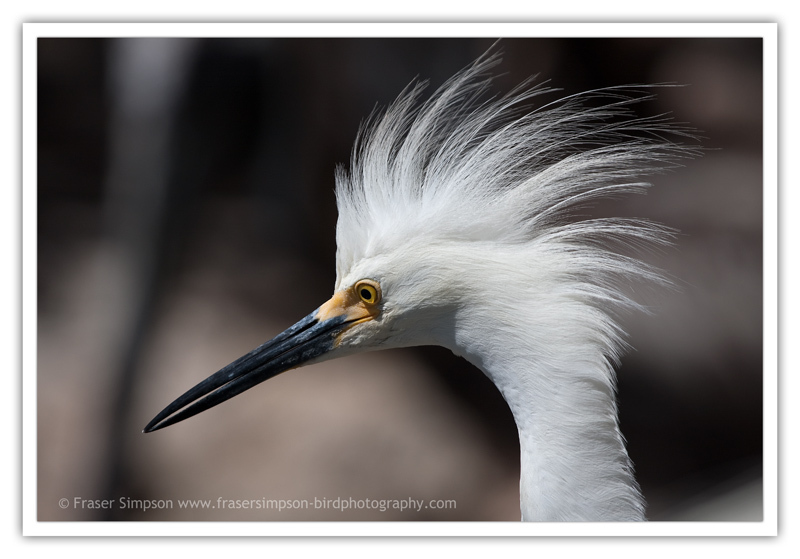 A Birder's Guide to Florida. American Birding Association, Inc.
� Sibley, D. 2000. The North American Bird Guide. Pica Press. � Sunquist F & M, Beletsky, L. 2008. Travellers' Wildlife Guides: Florida. Chastleton Travel. 4, Seven Mile Bridge, 10/7. 3, Tea Table Relief, 11/7. 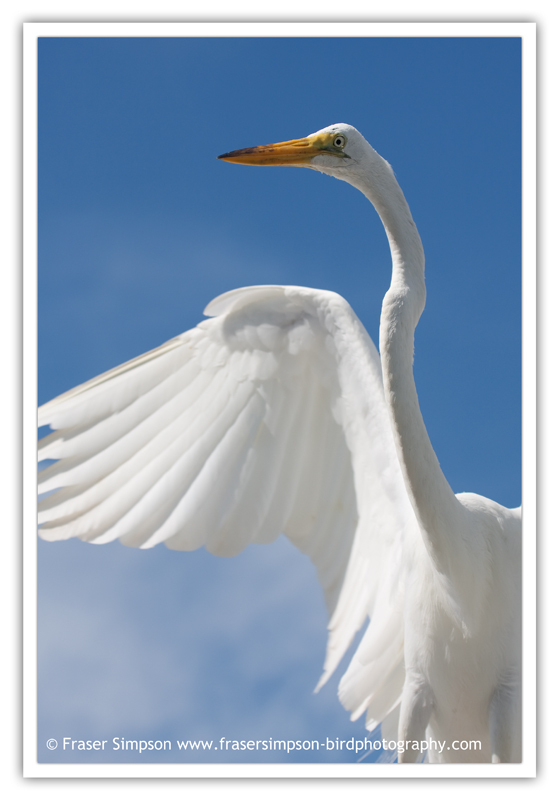 Max 40+, Florida Keys Wild Bird Centre, Tavernier, Key Largo, 11/7. Singles and pairs over most keys and channels. Max 4, Seven Mile Bridge/Moser Channel, 10/7. Noted over Midway Cafe on several dates while stopping for an iced tropical machiato. Common around all keys and channels. 160, Long Key Channel, 25/6. 123, Long Key Channel, 9/7. Up to 34 daily at Keys Marine Lab, Long Key. 1, on the mainland south of Miami, 13/7. Not seen in the keys. White morphs: common with singles around most keys, channels & mangrove pools. Max 17, Florida Keys Wild Bird Centre, Tavernier, Key Largo, 11/7. Dark morphs: scarce, noted at Seven Mile Bridge and Bahia Honda State Park. Common around most keys, channels & mangrove pools. Max 12, Florida Wild Bird Center, Tavernier, Key Largo, 11/7. 5, past Keys Marine Lab, Long Key, 2/7. Max 33, Florida Wild Bird Center, Tavernier, Key Largo, 11/7. Scarce; three individuals seen in the Middle Keys. Daily over Keys Marine Lab, Long Key. Singles noted at several other locations including Long Key State Park. Scarce; observed in channels and passing Keys Marine Lab, Long Key. 6, on the golf course of Sombrero Country Club, Marathon, Vaca Key. 3, Marathon Airport, Vaca Key, 12/7. Common in all mangrove areas. Regularly observed at Keys Marine Lab, Zane Grey Creek, and Long Key State Park. Nest with sitting female in mangroves at Founders Park Marina, Plantation Key. One or two seen on most visits to Long Key State Park, Long Key. Juv, in mangroves while kayaking on gulf side of Long Key, 29/6. Common in small numbers around most keys, channels & mangrove pools. Daily over the Keys Marine Lab, Long Key; flocks of up to seven birds. 12, on the golf course of Sombrero Country Club, Marathon, Vaca Key. Max 23, Florida Wild Bird Center, Tavernier, Key Largo, 11/7. Max 35, over Tavernier, Key Largo, 11/7. Max 12, over Tavernier, Key Largo, 11/7. Not observed anywhere else in the keys. 1, Layton, Long Key, 12/7. 2, dark morphs, drifted slowly SW over Keys Marine Lab, Long Key, 11/7. 2nd cy, Lower Matecumbe Key, 30/6. Probably saw more Ospreys in three weeks here than in my whole birding lifetime so far! Observed around most keys, channels & mangrove pools. 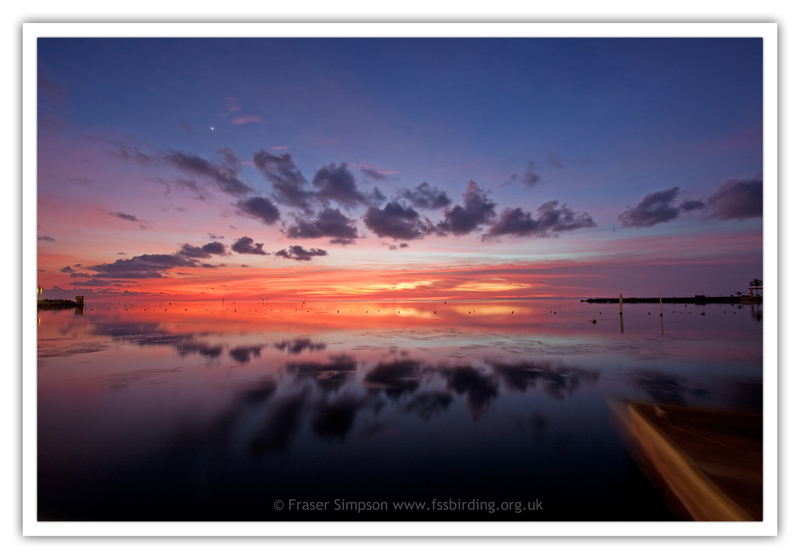 Daily in the bay at Keys Marine Lab and Lower Matecumbe Key. Max 3, Seven Mile Bridge/Moser Channel, 10/7. 1, Long Key State Park, Long Key, 4/7. Noted in muddy pools at Marathon Airport, Vaca Key. Max 6, Founders Park, Plantation. Heard after dark over Big Pine Key, 9/7. 1, in shallow mud mangrove pool, Florida Keys Wild Bird Center, Tavernier, Key Largo, 11/7. A few present throughout on Lower Matecumbe Key. 1, Long Key State Park, Long Key, 11/7. 2, Lower Matecumbe Key, 11/7. 4, Lower Matecumbe Key, 11/7. 6+, Lower Matecumbe Key, 11/7. 1, Missouri Ohio Channel, 9/7. Common on all keys; up to 12 around Keys Marine Lab, Long Key throughout. 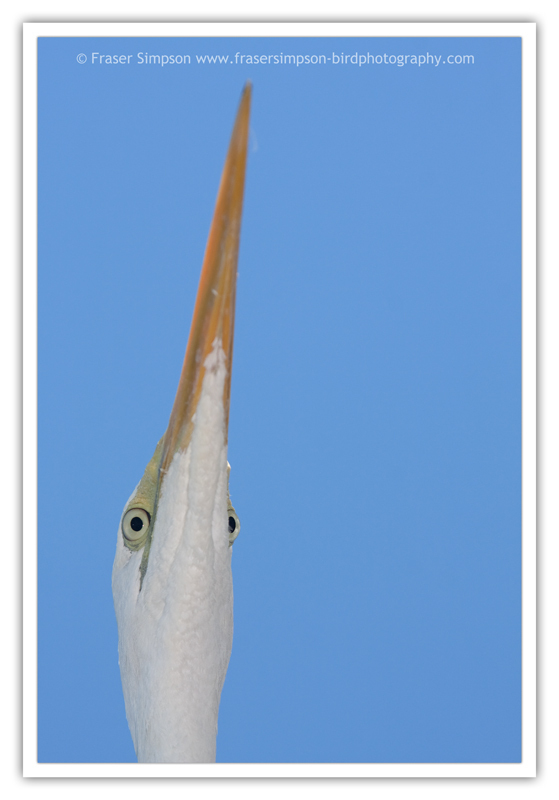 Max 40, Florida Keys Wild Bird Center, Tavernier, 11/7. Singles or pairs seen on most keys. 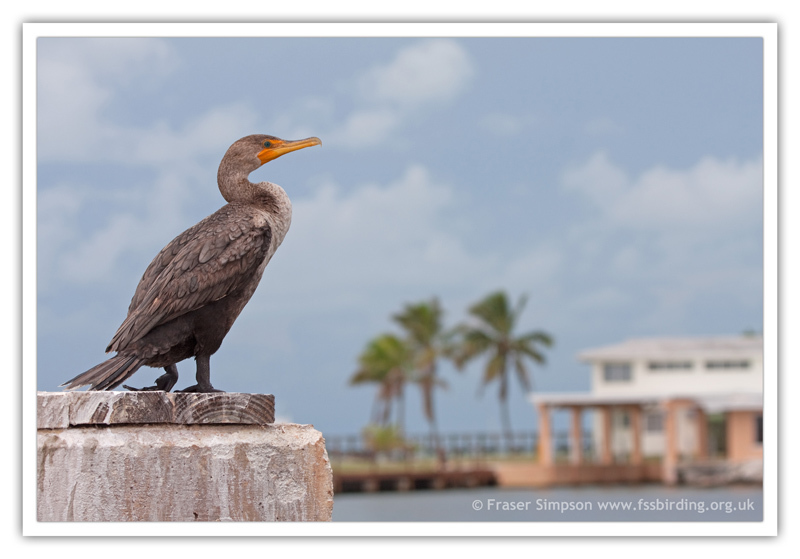 One on the buoys most days at Keys Marine Lab, Long Key. Daily over Keys Marine Lab, Long Key; up to three on the buoys most days at Keys Marine Lab. Max of 30+, Bahia Honda State Park, 9/7. Max 6, Publix, Marathon, Vaca Key, 12/7. Scarce; a few individuals noted in less disturbed areas. At least 10+, Zane Grey Creek-Layton, Long Key, 11/7. Pair nesting, Keys Marine Lab, Long Key. 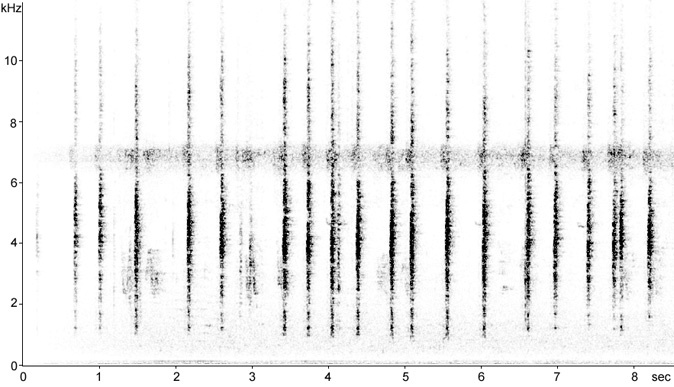 Common Ground Dove: Sonogram (c1 coo/sec) of territorial song of a male in hammock scrub. 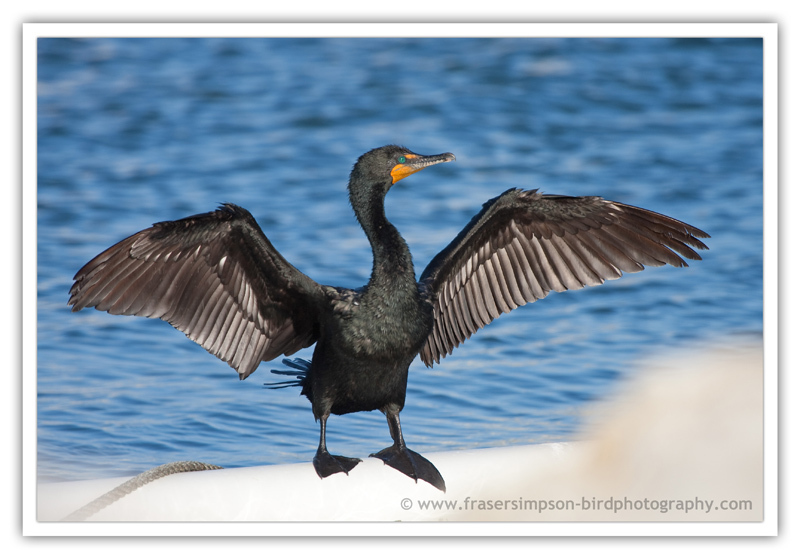 Common on all keys; regular movements of birds between hammocks and mangrove areas, e.g. 33 NE in 60 mins past Keys Marine Lab. Max flock of 7 over Keys Marine Lab, Long Key. Observed perched in Long Key State Park. 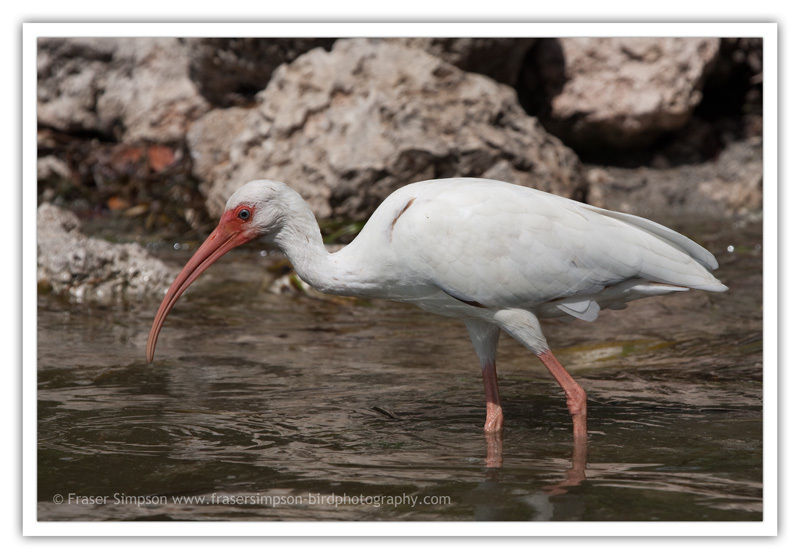 Only seen twice in mangroves at Snake Creek, Plantation Key and in Long Key State Park, Long Key. 1, on the golf course of Sombrero Country Club, Marathon, Vaca Key. 1, seen while kayacking along mangroves of Florida Bay, north side of Long Key, 29/6. 1, Long Key State Park, Long Key, 13/7. Seen along Overseas Highway/US-1 on most keys. Noted in most areas of mangroves. Max 7, Founders Park, Plantation Key. 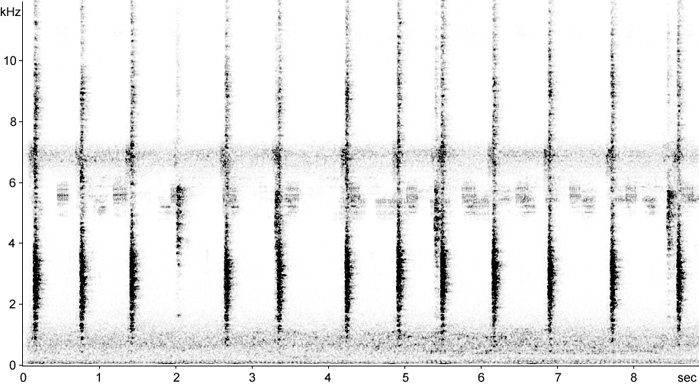 Red-bellied Woodpecker: Sonogram of alarm calls in hammock scrub. 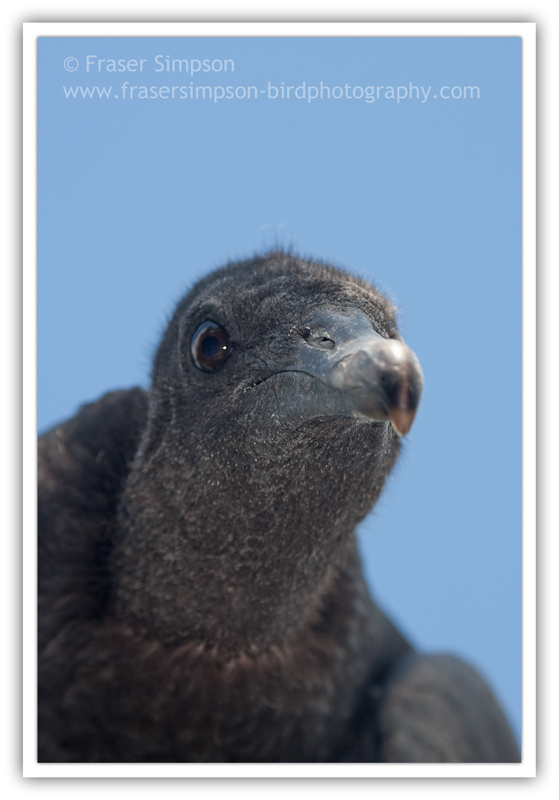 Observed several times on roadside wires on Lower Matecumbe Key. Common along Overseas Highway/US-1 on most keys. Present in all mangrove areas. 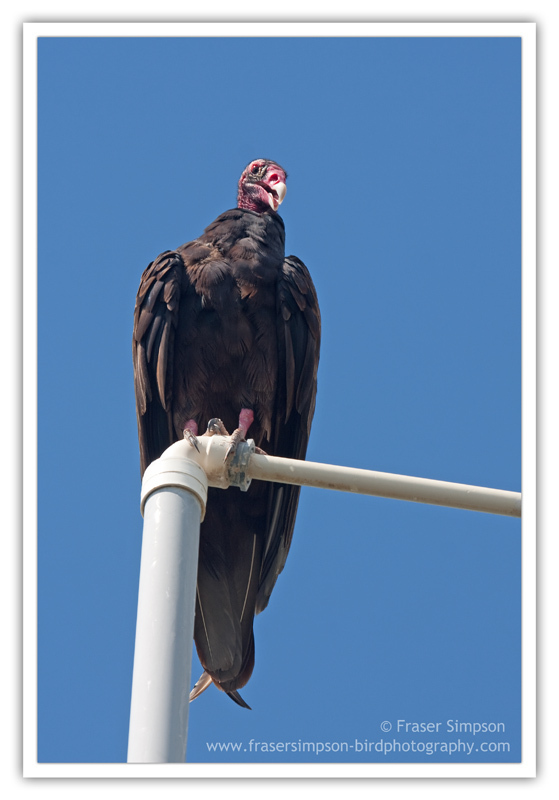 Agressive species, chasing everthing from Mockingbirds to Turkey Vultures. At least 4 singing males heard on most visits to Long Key State Park, Long Key. 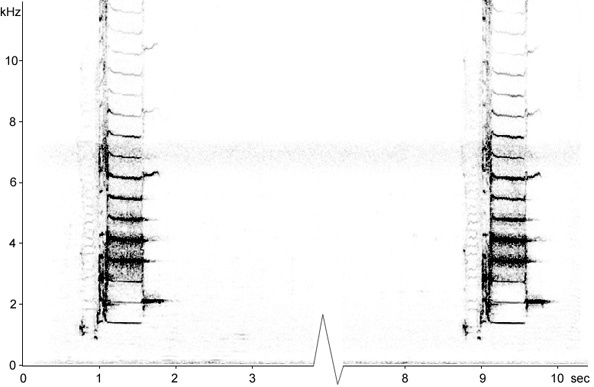 Black-whiskered Vireo: Sonogram of territorial song from flooded mangroves. 4, along US-1 on the edge of Everglades National Park, 13/7. 4, SW along Seven Mile Bridge, 10/7. Probable migrants. Common along Overseas Highway/US-1 on most keys. Present in all urban areas. Two singing males close to Keys Marine Lab. Northern Mockingbird: Sonogram of territorial song from the top of a very tall tree along US-1. Scarce; one or two noted on a few keys. Max 10, Founders Park, Plantation Key. Noted on several keys including Windley Key, Lower Matecumbe Key, Long Key, and Vaca Key. 2, Long Key State Park, Long Key, 11/7. 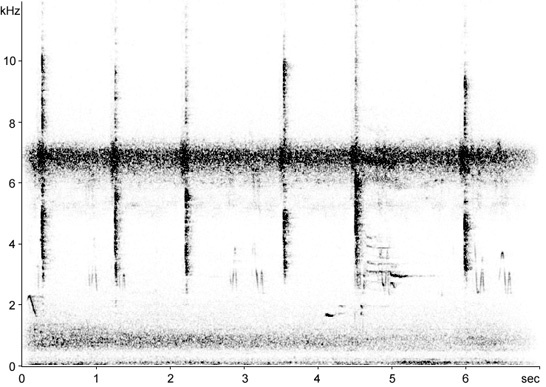 Florida Prairie Warber: Sonogram of calls from a male feeding along the edge of mangroves. 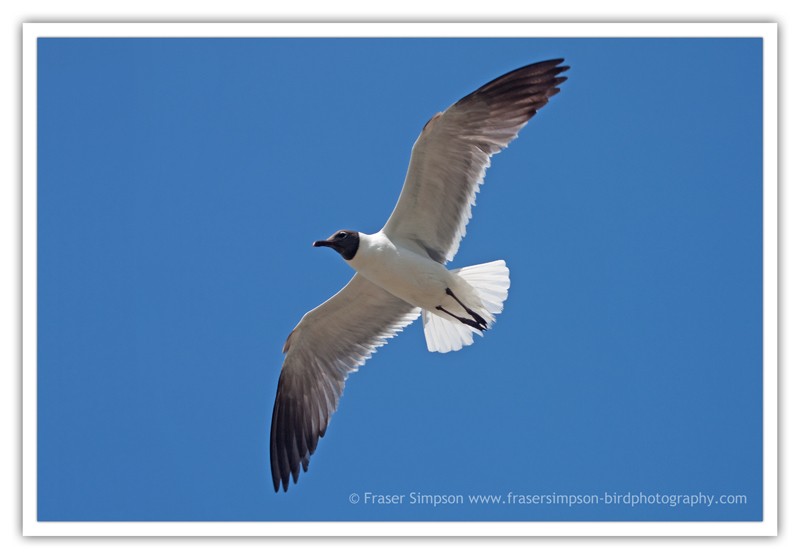 Observed on most keys, flying over the Overseas Highway/US-1. Observed well in several mangrove areas. 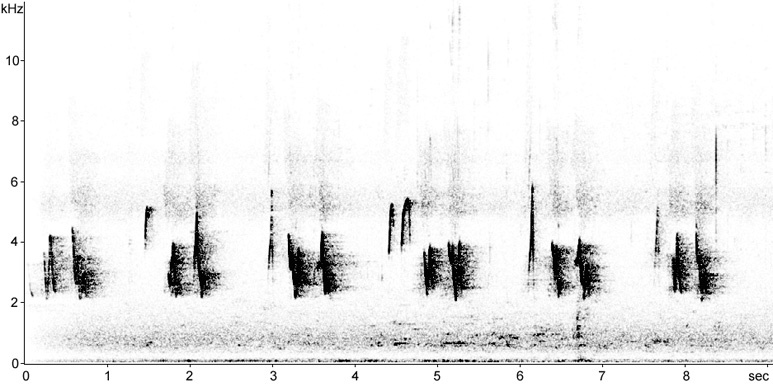 Northern Cardinal: Sonogram of territorial/advertising song of male in hammock scrub. 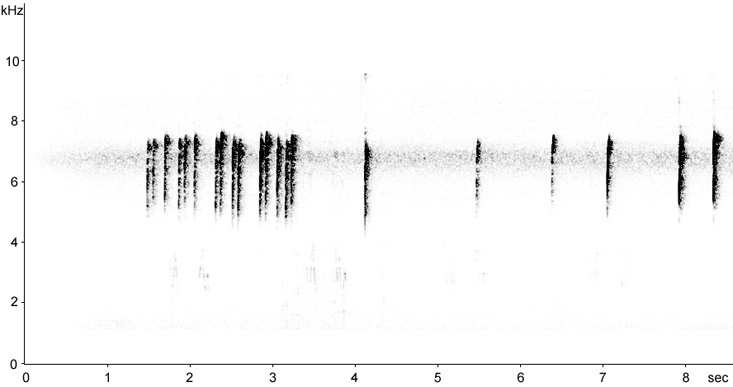 Northern Cardinal: Sonogram of calls from a female. 3, Lower Matecumbe Key, 7/7. 1, Lower Matecumbe Key, 7/7. B/4, b/4, Long Key State Park, Long Key, 4/7. 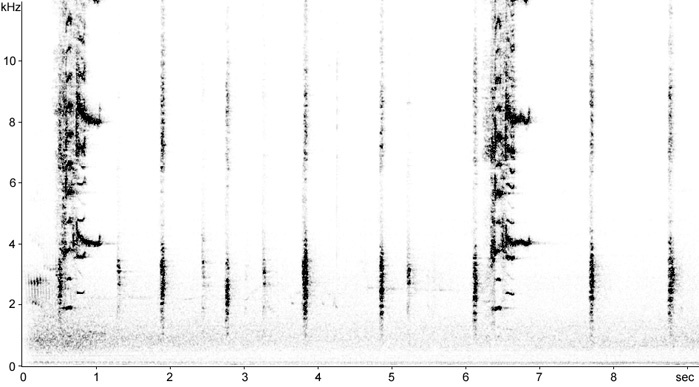 Red-winged Blackbird: Sonogram of territorial/advertising song of male in hammock scrub. 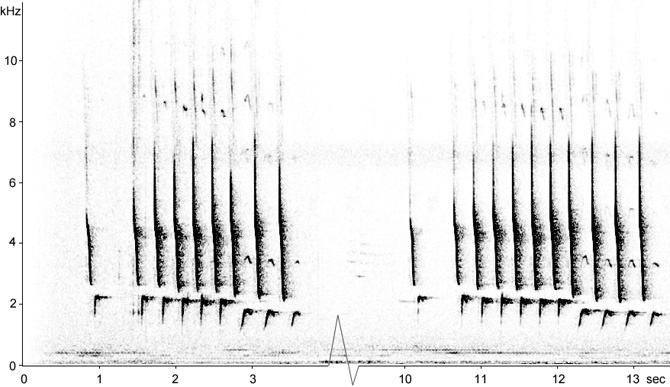 Red-winged Blackbird: Sonogram of calls from a fledged brood in mangroves. 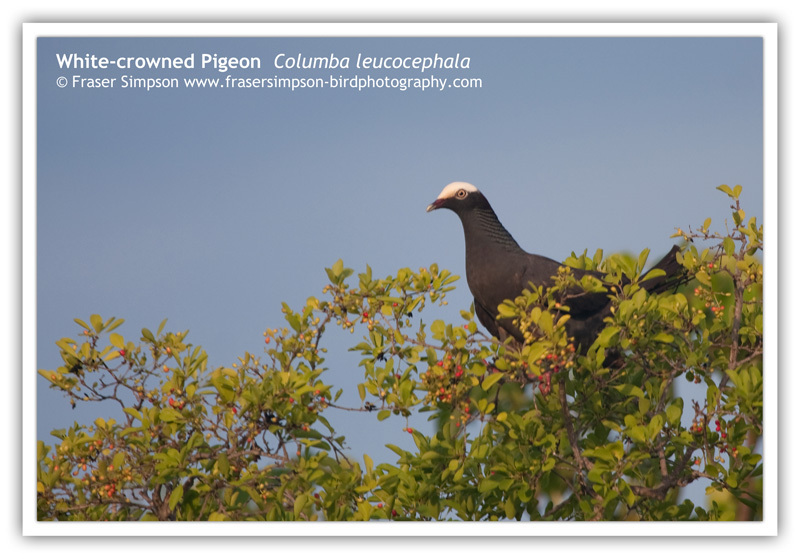 Common in all urban and mangrove areas. Max, 30+, Layton, Long Key, 11/7. 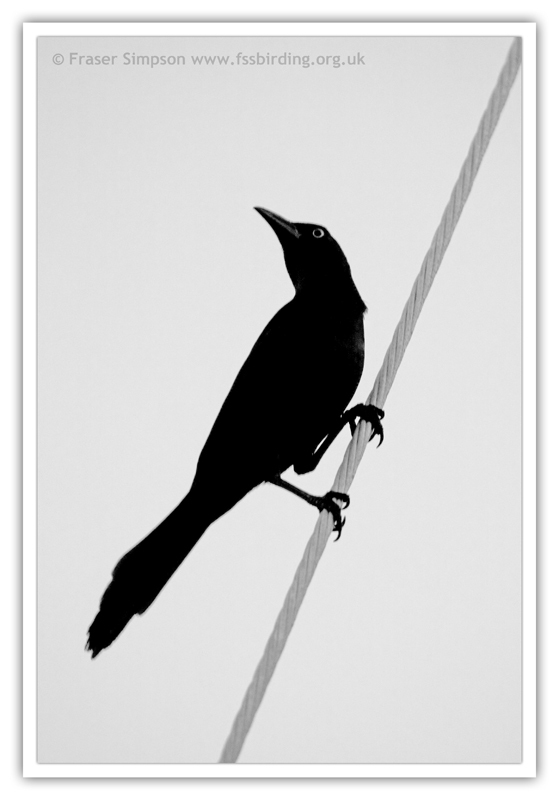 Common Grackle: Sonogram of territorial/advertising song of male in garden close to US-1. Sounds like a rusty gate being quickly opened. 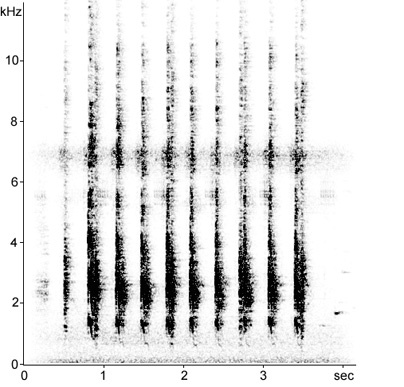 Common Grackle: Sonogram of calls from a small party in hammock scrub. Lower-pictched and harder than the calls of Red-winged Blackbird. Abundant on the mainland south of Miami. Not observed in the keys.